Are you drowning in unsecured debt? Are you looking for a way out from the stress, guilt, and shame that debt collectors place on you? Do you want those nagging phone calls to stop once and for all? A bankruptcy could be the solution that you need. Each financial situation is different, so be sure to take advantage of our free, no obligation consultation with a local Clarksville attorney that specializes in bankruptcy law. Don’t wait before it’s too late! 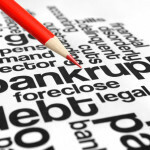 Chapter 7 bankruptcy: This type of bankruptcy will eliminate virtually all of your unsecured debt. This means credit cards, medical bills, and other forms of debt that aren’t secured against a tangible asset. This bankruptcy will not affect student loans from the government except in very rare cases. Chapter 13 bankruptcy: This type of bankruptcy doesn’t wipe all of your debts away, but instead gives you the opportunity to negotiate with your creditors to create more friendly repayment terms that work with your current income levels. Which form of bankruptcy is better? From a debt elimination standpoint, the Chapter 7 bankruptcy is better because it is often cheaper for a Clarksville attorney to accomplish. The Chapter 13 bankruptcy is more expensive, but it is less damaging to your credit worthiness from a long term perspective in many instances. A Clarksville attorney can help you determine if you pass the Means Test to qualify for a Chapter 7 bankruptcy. This test was instituted to prevent people from simply filing for bankruptcy instead of paying their bills when they had the ability to do so. Your income, assets, and finances will be looked at as a whole and then compared to other Clarksville families. If you qualify, then a Chapter 7 bankruptcy may be recommended. If you do not, then a Chapter 13 bankruptcy can still be pursued as a debt relief option. Hire An Experienced Clarksville Bankruptcy Attorney Today! Are you ready to start doing something about your debt? Nobody ever intends to go bankrupt, but sometimes a bankruptcy is a very smart financial decision that can lay the foundation for a stronger future. Talk to a Clarksville attorney that specializes in bankruptcy law today and be sure to take advantage of our FREE consultation so that you can get a picture of how a bankruptcy could help you secure the financial future you desire. Request a Free Initial Consultation Online or Call Our Office to schedule your same-day in person meeting with one of our bankruptcy lawyers.